To claim this profile, please confirm you are KAMY MORNE. To follow this profile, please let us know your relationship to KAMY MORNE. RESULTLoss Girls varsity basketball vs. Somerset Prep. The Highlands Christian varsity basketball team lost Thursday's neutral playoff game against Somerset Prep (North Lauderdale, FL) by a score of 94-31. This game is part of the "2019 FHSAA Girls Basketball State Championships - 3A" tournament. KAMY's basketball stats have been updated for the loss vs. Lake Worth Christian. RESULTLoss Girls varsity basketball vs. Lake Worth Christian. The Highlands Christian varsity basketball team lost Friday's neutral conference game against Lake Worth Christian (Boynton Beach, FL) by a score of 59-50. KAMY's basketball stats have been updated for the win vs. Jupiter Christian. RESULTWin Girls varsity basketball vs. Jupiter Christian. The Highlands Christian varsity basketball team won Tuesday's neutral playoff game against Jupiter Christian (Jupiter, FL) by a score of 70-60. KAMY's basketball stats have been updated for the win vs. Boca Raton Christian. RESULTWin Girls varsity basketball vs. Boca Raton Christian. The Highlands Christian varsity basketball team won Monday's neutral conference game against rival school Boca Raton Christian (Boca Raton, FL) by a score of 46-11. 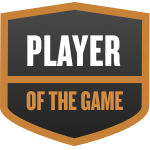 KAMY was selected the Player of the Game in the basketball game against John Carroll Catholic on Sat, Jan 19 2019. Congratulations to #30 KAMY MORNE for being selected the Highlands Christian Girls Basketball Player of the Game. KAMY's basketball stats have been updated for the win vs. Trinity Christian Academy. RESULTWin Girls varsity basketball vs. TCA. The Highlands Christian varsity basketball team won Thursday's home tournament game against Trinity Christian Academy (Lake Worth, FL) by a score of 53-48. The Highlands Christian varsity basketball team won Tuesday's home conference game against Jupiter Christian (Jupiter, FL) by a score of 46-35. KAMY's basketball stats have been updated for the loss vs. City of Life Christian Academy. RESULTLoss Girls varsity basketball vs. CLCA. The Highlands Christian varsity basketball team lost Saturday's neutral tournament game against City of Life Christian Academy (Kissimmee, FL) by a score of 71-42. The Highlands Christian varsity basketball team lost Friday's home conference game against Lake Worth Christian (Boynton Beach, FL) by a score of 65-59. KAMY's basketball stats have been updated for the loss vs. David Posnack Jewish Day. RESULTLoss Girls varsity basketball vs. DPJD. The Highlands Christian varsity basketball team lost Tuesday's home non-conference game against David Posnack Jewish Day (Davie, FL) by a score of 43-39. KAMY's basketball stats have been updated for the win @ John Carroll Catholic.